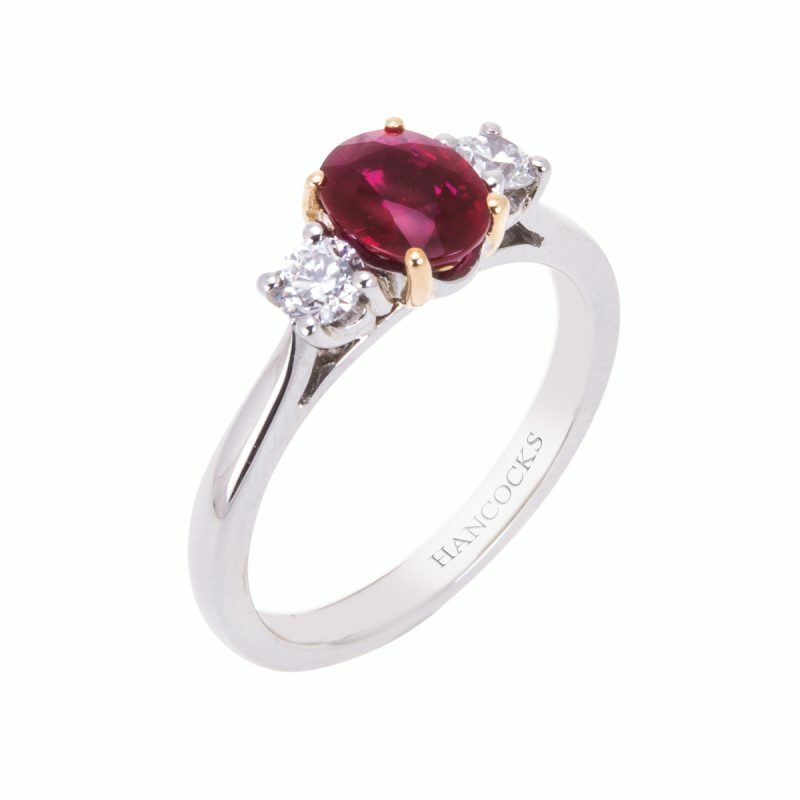 The simple profile of this beautiful 3 stone ruby and diamond ring adds to its understated elegance. 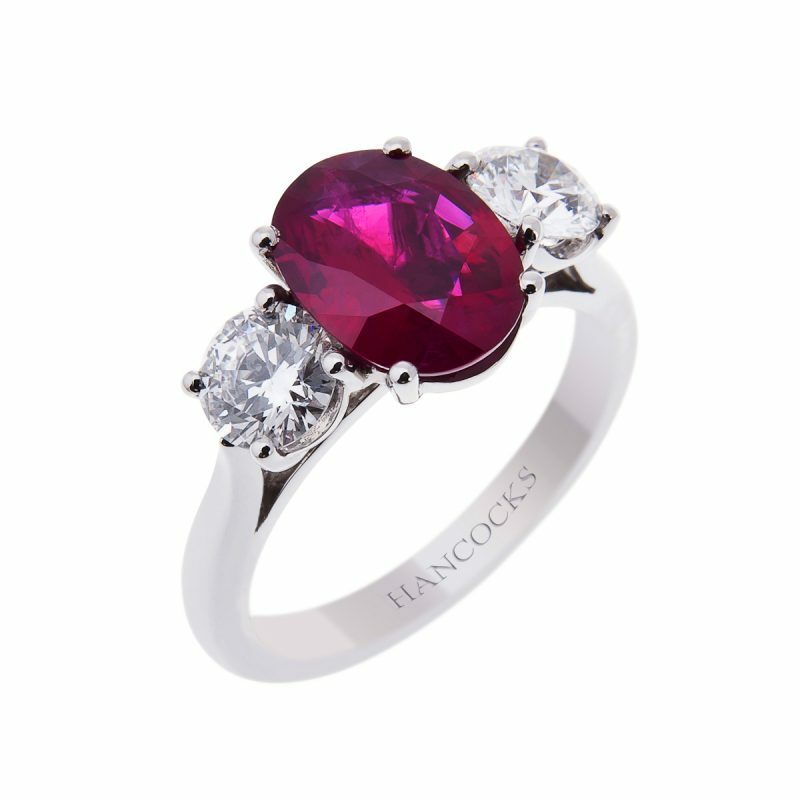 A central rich red oval cut ruby mount in 18ct yellow gold claws, with 2 brilliant cut diamonds either side, all beautifully held in a classic platinum claw setting. Used to represent a special moment in a couples life, three stone rings are a popular choice for an engagement ring.